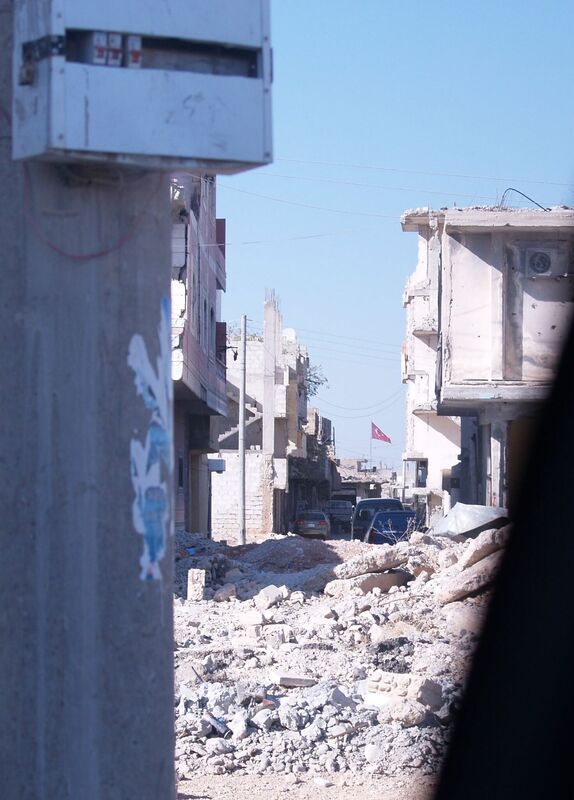 Kobane: what were the people fighting for? 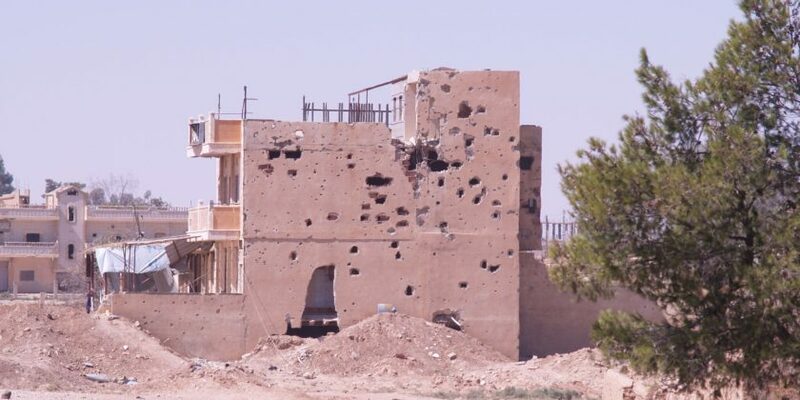 The city of Kobane, the northern Syrian city on the border with Turkey, still bears the signs of the war on its buildings, streets and on the faces of its residents. The cutthroats of DAESH attacked Kobane in September 2014 and after more than six months, the Kurdish forces, along with The Iraqi Kurdistan Peshmerga and the US airstrikes, pushed back the black flags, marking the turning point of the DAESH offensive in the North of Syria. At the entrance of the city, a huge monument in honour of the ‘martyrs’ welcomes us. The faces of soldiers who died for Kobane’s freedom, known as ‘martyrs’ by local people, are posted on the streets, outside the shops and on the buildings. All families of Kobane have suffered casualties because of the war. Men and women who fought during the siege are seen as heroes to be remembered forever. Girls without veils are walking back home from schools, children play outside and shops, barbers, and food stores are open for business signalling that the city is slowly coming back to a sort of normal life. Escorted by the Christian soldiers of the Syriac Military Council with their Kalashnikovs, we wander about in the city until faced with a monumental Turkish flag standing out from the ruins on Turkish soil a few meters from us. This gives us mixed feelings, thinking about the controversial role Turkey played during and after the siege of the city. One of our most unexpected discovery is Kobane’s only Christian church: an apartment on the first floor of a restored building. The Christian community counts four families and forty members. They are all converted Sunni Kurdish and live at peace with other members of Kobane’s Muslim community. Knowing that conversion from the Muslim faith to another could be punished by death in many Muslim countries, this leaves astonished. “We have good relations with other people here in Kobane. They accept us as Christians,” Omar said, welcoming us in the church. “Last year we invited our neighbours to celebrate Christmas with us and to decorate the Church with traditional Christmas symbols such as nativity scenes, Santa Claus, Christmas trees,” Omar told us. A stark contrast with Europe, where we are too afraid to expose these symbols in the name of political correctness. During Christmas time in the Western world, we increasingly see bans of nativity scenes, Christmas carols, and other traditional Christmas celebrations to avoid ‘offending’ other religions. But looking at some of the Christmas icons on the wall of a church in Kobane, and listening to stories of the last Christmas celebration together with Syrian Muslims, something becomes clear to us. It is not by hiding our identity that we will show more respect for a different religion or culture. It is not by rejecting what we are that we will be more open-minded. It is only by rediscovering our identity that it is possible to safeguard all our differences. The Christian community of Kobane is also involved in social activities with a mobile clinic, helping all people in need whatever their faith is. They also have a Christian bakery and surprisingly, a Bible shop on the floor below the church. 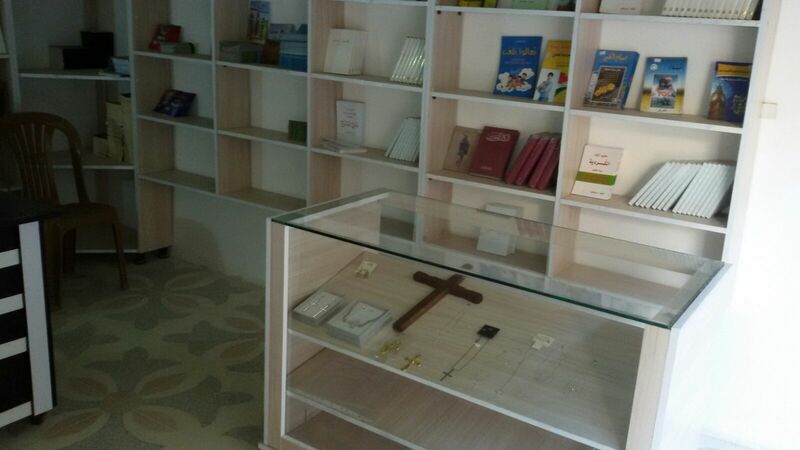 “We sell Bibles, Christian books and crucifixes to other members of our community or to other Kurdish interested to know more about Christian religion,” Omar said. On the terrace of the church, just as Christians started to pray before the dinner, we hear a muezzin calling Muslims for the evening prayer. Listening to that, in the North of Syria, we realise what the Kurdish forces died for: freedom to believe, freedom to express, freedom to be.